We lay out the gangway for you Rederij van Hulst will gladly take you for a beautiful cruise or a fully organized day trip. With us on board you will experience a unique atmosphere and experience our warm hospitality. Do you like stories? Stories that you keep and recognize. 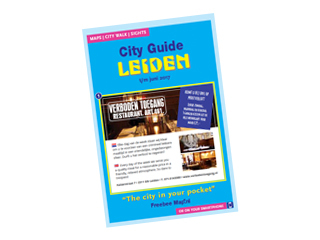 That is why we will tell them extensively during our city walk or bike tour in Leiden. Three specialty stores - Ribbing, Stitching Fabric and Quiltblocks - under one roof; that is Meet & Make. An inspiring craft shop new style for creative people with a passion for knitting, sewing, quilting, crocheting or embroidery. Shop and webshop, workshop and meeting place.